Come enjoy easy living in this gated community complete with a pool, fitness center and stocked lake! Nestled into Shadowbrook Lakes Townhomes is this 4 bedroom 2.5 bath with enclosed 2 car garage ready for a new family to call it home! Enter through the foyer into the open living, kitchen and dining. Gourmet kitchen with stainless appliances including gas range, dishwasher, microwave hood vent and refrigerator. Appreciate the custom paint grade cabinets, gorgeous river white 3 cm granite, 3x6 glass tile backsplash, large center island with 3 custom pendant lights and walk in pantry for your growing family. Upstairs is a large master suite with spa like bath with separate soaker tub and shower, framed mirrors, dual vanities and HUGE walk in closet. There are three additional bedrooms with full bath upstairs. 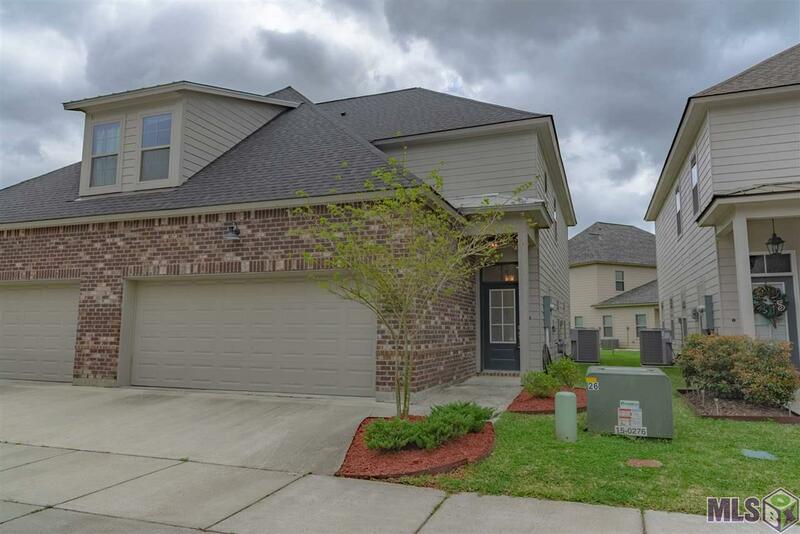 Satin nickel plumbing and lighting throughout, wood flooring in living areas, upgraded tile in all wet areas, post tension foundation, 16 seer HVAC! Home is ready now! Conveniently located off of Millerville and Jones Creek. Call for your private showing today.